Fee waived for anyone age 17-35! with Jai Maa and all poets among us! Young adults may stay free overnight in your own tents. Get ready for more fun on Sunday morning ~ Breakfast included! Dancing Peacock Paradise is a privately owed spiritual retreat center. Please leave your pets at home & enjoy ours. No alcohol, drugs, litter, or smoke. Enter the warm friendly atmosphere with a blessing & a smile! After our February 2013 Dance! My experience in Paradise was transformational. I was overjoyed to be a part of the whole weekend with everyone. Your property is SO beautiful, & such a blessing that you extend your arms & open your home for so many people to come together & celebrate unity & love. I felt more than welcome when you dressed me all up: really fun & I love your closet!! My experience described in one word is liberating. I let down guards that I may usually have up, & it allowed me to connect on a deeper level with my everyone & the habibis. Your property has amazing energy flowing through it, maybe from all the beautiful souls you have coming & going. They leave a trail :) Getting back to Sarasota, Dan & I both agreed our heads & hearts were still in that space we all created together :) I can't wait to visit you again, I wish once a month! You're such a beautiful person. Thank you for taking me in fully for the whole weekend, you're a blessing. a.k.a. 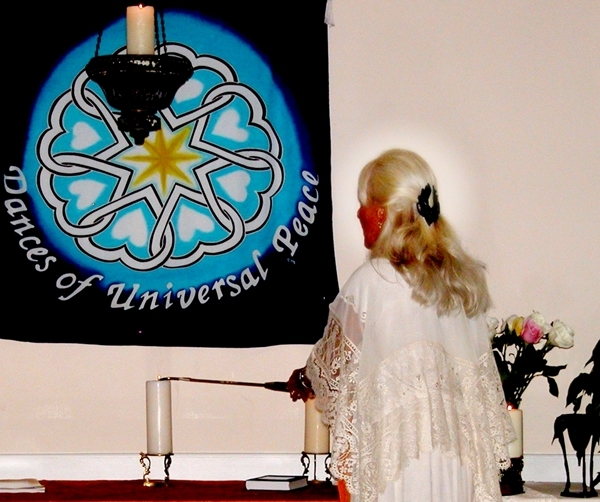 Shahabuddin has been tapped for the Dances of Universal Peace - North America Board of Directors. Patrick began dancing in 1974-76 in Ann Arbor, MI, before residing mostly in South Asia until 2009. 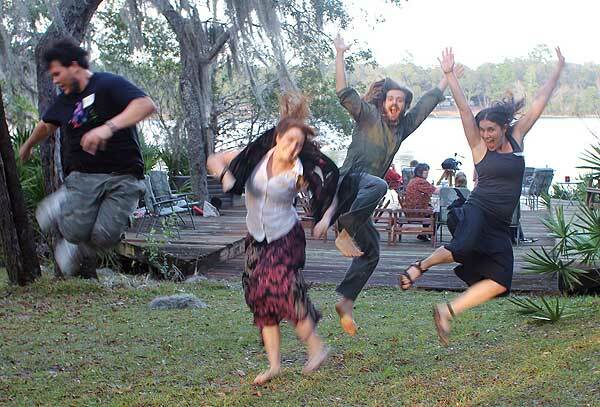 Returning, he found our dance circle in Florida and became a faithful participant, photographer, & webmaster. His wealth of knowledge about South Asian religions & languages, which he majored in during graduate school and has experienced first hand, has enriched our circle, along with his enthusiastic dancing & deeply devotional spirit. Our friend Bodhi Be is doing cutting-edge work on death & dying, & has become known world-wide among supporters of green burial & caring for one's own dead beloveds. 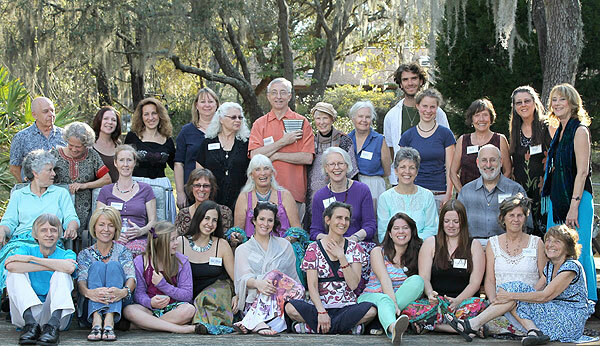 He is encouraged & assisted by his wife Leilah & his neighbor & friend Ram Dass. Active in the Maui & global community, Doorway into Light offers physical, emotional & spiritual support, assisting families with end-of-life care, home funerals, ocean burial & direct cremation. to the dying. Topics include spiritual caregiving, tools for approaching death, home funerals, the 'greening' of the funeral industry, & advance directives. Bodhi started Hawaii's first certified green funeral home, THE DEATH STORE, which DiAnahita visited while in Maui. His fund-raising campaign will further this work; contributions are tax deductible. Adoramus - Face left. Bring right hand down in front of body making vertical part of cross, smoothly, not touching body. Adoramus Te - both arms up, spin left to face front & take hands to begin again. 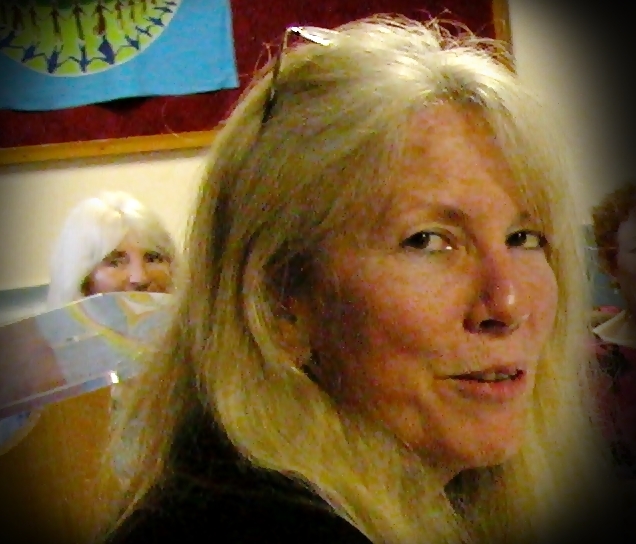 On-line Registration will open in April, at www.PeacockParadise.org & in the next newsletter. Meanwhile, DiAnahita will travel to Whidbey Island, Washington, for a retreat with these beloved leaders. A vibrant, loosely-networked group of open hearted young adults & teenagers invested in the realization of love, harmony & beauty in their lives & in the world family. Some are new on the path, while others were raised in the Ruhaniat community. Regardless of history or personality, all involved are committed seekers & lovers on this path. Holding a Universalist world view, based on the teachings of Hazrat Inayat Khan & Murshid Samuel Lewis, they see & honor the truth in all religions & spiritual traditions, known & unknown. The Sufi's house of worship is the human heart, wherein dwells the Divine Beloved. No compulsion, no dogma, on the Sufi path. DiAnahita has recently been asked to serve on the Ruhaniat Youth Council, as a contact in the SE United States for young adults who are interested in Sufism & the Dances. The infusion of youthful energy at our last dance with the Habibis inspires us to actively encourage more youth to attend our events. If you have grandchildren, children, neighbors or friends who are in their late teens, twenties, or early thirties, tell them about our special free Emerging Generation Wave & invite them to join us. People have been asking for DiAnahita's CD, made specifically for learning the prayers of Hazrat Inayat Khan, by hearing them recited line-by-line & repeating yourself to a musical background. A booklet of the printed prayers is included. We will re-issue this spring; if you would like a copy for $15, please Reply, so we will know how many to produce. Saturday, January 26 at Dancing Peacock Paradise 2:30-9 pm "Healing & Affirming Vibrant Health"
Saturday, March 30 (Easter weekend) at Dancing Peacock Paradise 2:30-9 pm "Emergence"
Saturday, April 27 at Dancing Peacock Paradise 2:30-9 pm "Rising in Loving Community"